October’s Driver of the Month has been with Yellow Cab for 32 Years! Mr. Elianet Pierre originates from Haiti and has four children; one girl and three boys. He defines his children as a “quatre”. For those of you who may not know, a quatre is a Domino with four spots! 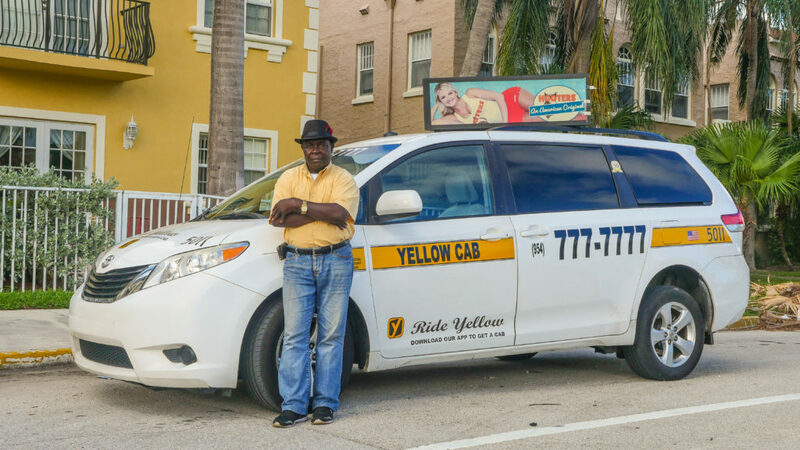 Mr. Pierre drives for Yellow Cab of Broward because of his love for interacting with the clientele. He has driven clients an hour and a half to retrieve lost keys and has a very loyal customer base. His “guests” call for him exclusively to transport them to doctors’ appointments and grocery store runs. Yellow Cab’s Customer Service line has received multiple calls commenting on Mr. Pierre’s exemplary service! For 32 years, Yellow Cab of Broward has had the honor of interacting with this Driver of the Month!